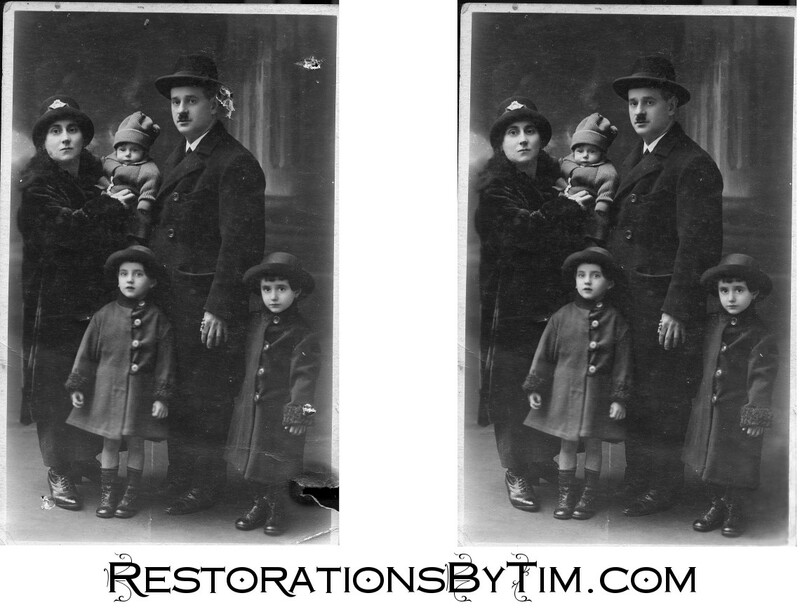 Moderate Restoration: Tearing around details | Photo Restorations by Tim G.
This request is on the lighter side of moderate restorations. It required the corrections of two punctures, a tear, and a pair of creases. The tear around the brim of the hat and ear required the restoration of some fine details, as did the tear around the girl’s sleeve and coattail at bottom right. Perfecting the shadow behind the girl also required extra care.